"Mohi" is an Upcoming Tv Show in 2015 which is going to Launch soon of Channel "Star Plus".This show is produces under the Banner of International Production House White Horse Productions. This new Tv show will be the Remake of Famous Bangla Tv Show "Ishti Khutm's" which is aired on Star Jalsha from Monday-Saturday from 06:30pm to 07:00pm. Ishti Khutum's is Top Bangla Serial in the Year 2011. Now 'Mohi' is the Remake Version of Ishti Khutum's Serial. "Mohi" is a Triangle Love Story. The Story of the Show revolves around a tribal girl. This is the Love story of this Tribal girl. She plays the lead female role in the drama who turns out to be a prostitute & her own sister's home breaker from a simple girl. Karan Sharma as Lead Male Actor-in this New Show "Mohi'.But there is a Big Suspense who will be His Co-Partner in this Show . We are Assuming that Asha Negi and Washna Ahmed will be seen in This serial but they are not available for this show becuase of their Busy Schedule. 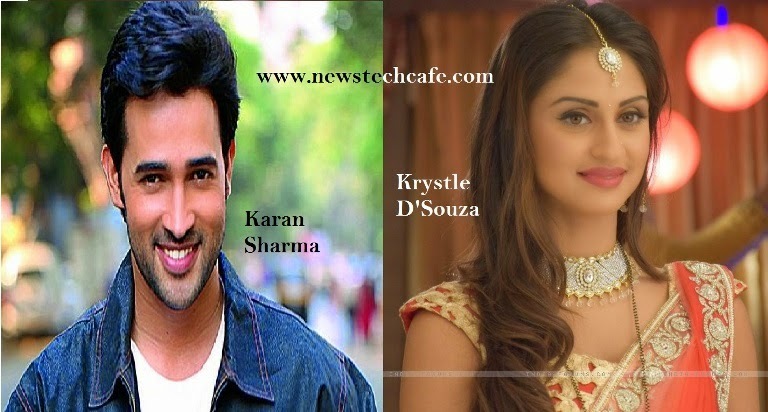 Now big news is that Actress Krystle D'Souza will be roped in this show Show. Actress Krystle D'Souza last seen in the Show "Ek nayi Pehchaan,Ek Hazaaron me Meri Behna Hai etc." And She will be seen in Lead Role as Anusha in this Show. Latest news is that actress Shiju Kataria and Sonakshi More will be seen essaying a pivotal role in the show.